How Much Does it Cost To Fly To Chennai? The cheapest flights to Chennai found within the past 7 days were $248. Prices and availability subject to change. Additional terms may apply. Los Angeles Intl. - Chennai Intl. As a real up-and-coming travel destination, Chennai (Madras) is southern India's largest city and the second-most important financial hub after Mumbai. Based off the Bay of Bengal on the Coromandel Coast, it's a city packed with gloriously long sandy beaches, parks, cultural attractions, historic landmarks, and interesting buildings. With numerous cheap flights to Chennai International Airport (MAA) available, many national airline carriers fly here direct. Don't delay on your next vacation! Onward travel for travelers off Chennai flights couldn't be easier. 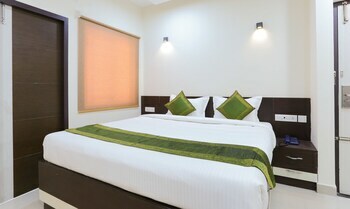 It's easy to find hotels close to Chennai International for maximum convenience. Chennai airport is on a major trunk road, the National Highway 45, while the Tirusulam railway station also serves the transportation airport hub. You can get pre-paid cabs 24 hours, with fares fixed by the government, so there's no haggling for a better deal. In the future, the Metro Rail System is set to link the airport with key points citywide. Flights to Chennai vacations leave holidaymakers spoiled for choice; attractions range from the Connemara Public Library to the Government Museum and the National Art Gallery. You can also stroll around one of the first British fortresses in India, Fort St George, founded back in 1639; today its museum houses many artifacts from the days of the British Raj. Or, have your fill of arts and crafts, shopping and parks - visit Guindy National Park with its endangered animal species, go on a lion or elephant safari in the local zoo, and see the critters at the Madras Crocodile Bank Trust. Alternatively, see the 20-million-year-old fossilized tree trunk at the botanical gardens, where every May a summer festival takes place. Immerse yourself in southern Indian life in this gem of a city - cheap flights to Chennai make attractively priced vacation packages in Chennai entirely possible. Travelocity can help you find the best deal on your airfare, and save you money if you buy your hotel with your plane ticket. Check out the mobile app, too! Question : Where can I find cheap flights to Chennai? Answer : We know you’re looking for the best flights at the lowest fares, so we found some of the sweetest deals in town just for you. 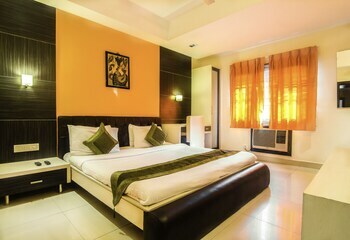 Check out the top flight deals to Chennai. Act quickly and score yourself a bargain! Kuwait Airways has a flight from to Chennai departing on 4/30/19 and returning on 5/3/19 all for only $848.00 per person. * Book these Kuwait Airways flights! Lufthansa has a flight from to Chennai departing on 5/21/19 and returning on 5/25/19 all for only $919.00 per person. * Book these Lufthansa flights! Swiss International Air Lines has a flight from to Chennai departing on 5/22/19 and returning on 5/25/19 all for only $927.00 per person. * Book these Swiss International Air Lines flights! Question : What are the most popular airlines that fly to Chennai? American Airlines Flies 44 flights per week between and Chennai. United Airlines Flies 40 flights per week between and Chennai. Iberia Airlines Flies 37 flights per week between and Chennai. 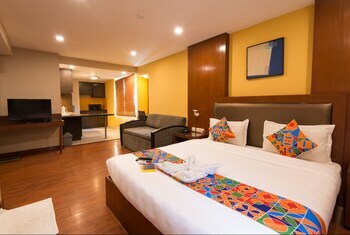 Question : Which hotels are located near airports or major attractions in Chennai? 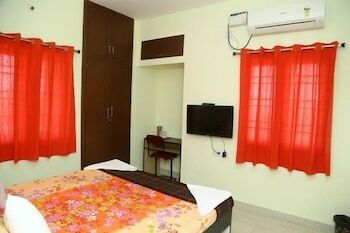 Answer : We've put together a list of hotels in Chennai close to airports and popular sights to see. Check out the hotels below. 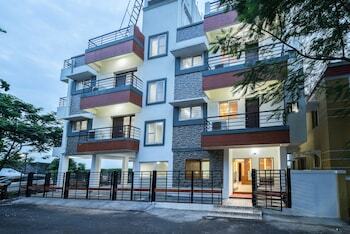 All of them are within proximity to must-see attractions and major airports in and around the city of Chennai. The Leela Palace Chennai: This family-friendly Chennai hotel is located by the sea, within 2 mi (3 km) of San Thome Cathedral and Kapaleeswarar Temple. Chennai Citi Center Mall and Ramee Mall are also within 3 mi (5 km). This hotel has a 5.00 star rating. 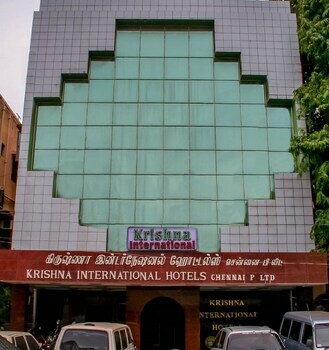 The Accord Metropolitan: This family-friendly Chennai hotel is located by the sea, within 1 mi (2 km) of Valluvar Kottam, Ramee Mall, and U. S. Consulate. Express Avenue and Mount Road are also within 2 mi (3 km). This hotel has a 4.50 star rating. 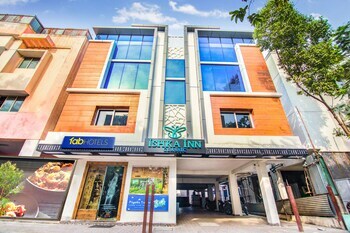 Hotel Marina Inn: Situated in Chennai, this hotel is within a 15-minute walk of Mayor Radhakrishnan Stadium, St. Andrew's Kirk, and Government Museum. Ripon Building and Raja Muthiah Hall are also within 1 mi (2 km). This hotel has a 3.00 star rating. 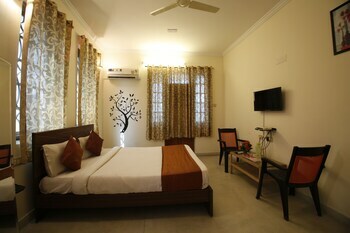 The Raintree- St. Mary's Road: Located in Alwarpet, this luxury hotel is within 2 mi (3 km) of Ramee Mall, Kapaleeswarar Temple, and Music Academy. 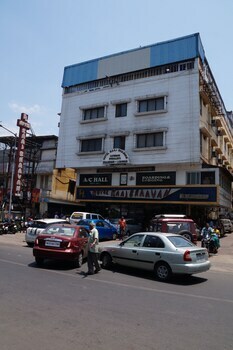 Chennai Citi Center Mall and Anna University are also within 3 mi (5 km). This hotel has a 4.50 star rating. Question : What are the top attractions in Chennai? 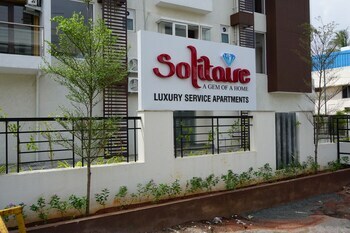 Answer : Chennai has over 55 points of interest for you to choose from. 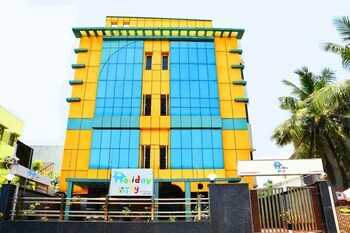 We suggest checking out Marina Beach and U. S. Consulate first because they are the most popular attractions in Chennai. Don't forget about other highly recommended spots like Mamallapuram Beach, Mount Road, and Jawaharlal Nehru Stadium. 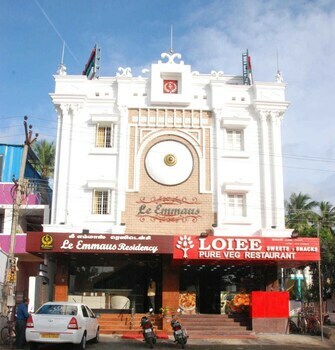 Get out there and see what the city has to offer on your trip to Chennai! Staff were very polite and helpful. But the safe did not work despite several reports to the hotel. The housekeeping department need to do better with actually cleaning the bathroom especially the shower . All they did was change the towels .